This dragon fruit smoothie bowl is almost too pretty to eat. 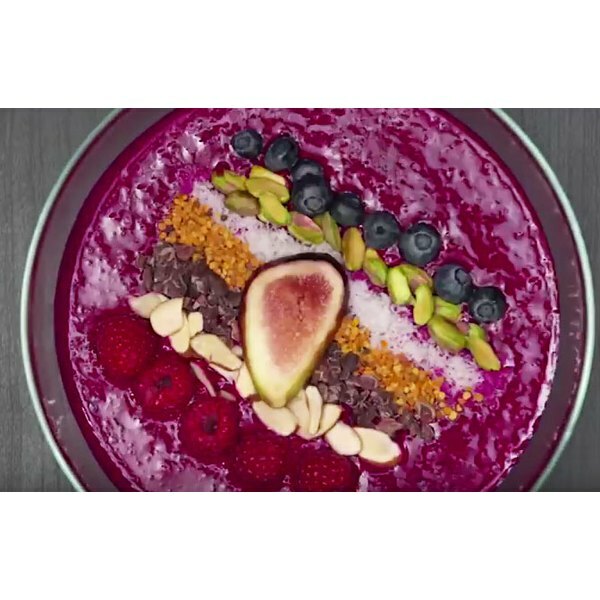 Jump on the smoothie bowl bandwagon with our easy-to-make recipe from our video series Simple. Healthy. Eats. It features a unique ingredient: the mildly sweet and beautifully vibrant dragon fruit. Hailing from Asia and Central and South America, dragon fruit is rich in immunity-boosting vitamin C and antioxidants, which can help guard against free-radical damage. 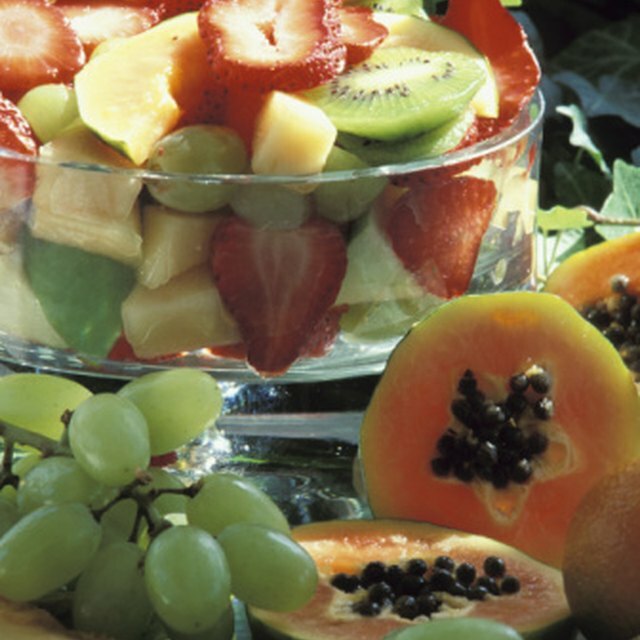 It’s also an excellent source of dietary fiber. Our recipe includes 330 calories; 10.05 grams of total fat; 16.45 grams of protein; and 46.58 grams of total carbs. If you’ve never prepped a dragon fruit before, it’s actually quite easy. Simply slice it in half with a paring knife, and then peel off the scaly skin with your fingers. You’ll toss two cut and peeled dragon fruits into the bowl of a food processor (a blender also works). Then you’ll add in good-for-you ingredients, including raspberries, bananas, shredded coconut and a plant-based protein powder. The recipe also includes energy-boosting bee pollen and vitamin-rich maca. Trust us, you won’t be able to resist diving into this breakfast -- even if it’s (almost) too pretty to eat! Tiffany Lin has been a writer and editor since 2008. Her book reviews, news pieces and features have appeared in Cat Fancy, Dog World, Romantic Homes, Cottages & Bungalows, Chickens, Kittens USA and Urban Farm magazines. Lin is currently the Food & Drink and Nutrition Editor for LIVESTRONG.COM.